Coal production at captive mines has edged past the target for this fiscal. At the end of February, output at such mines stood at 44.41 million tonnes (mt) as against the target of 40 mt fixed for FY19. On a year-on-year (y-o-y) basis, the captive coal producers logged 31.6 per cent growth. The country's total coal production during April-February rose eight per cent to 638.46 mt as against 591.42 mt in the year-ago period. 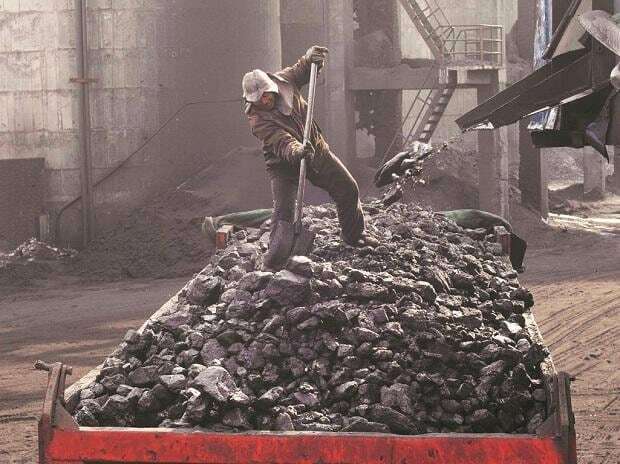 Coal India Ltd (CIL), the largest producer, recorded an output of 527.7 mt, an increase of 6.6 per cent y-o-y, data sourced from the Ministry of Coal showed. The other state run producer- Singareni Collieries Company Ltd (SCCL) produced 57.94 mt against the targeted 65 mt, growing six per cent y-o-y. Coal production at other mines was pegged at 15 mt of which actual production was 8.4 mt in the period under review, marking a growth of 5.8 per cent y-o-y. As per industry estimates, coal production from captive blocks allocated to thermal power producers is estimated to reach 105 mt by 2021-22. The Government of India recently approved a policy that permits captive coal mine owners to sell 25 per cent of their output in the open market. The motive is to enhance competitiveness, widen government revenues and overcome the lukewarm response to coal auctions. The approval to sell from captive coal blocks followed the government's commercial coal mining policy which enables companies to bid for mines from which they can sell the coal in the open market, meaning an end to hegemony in commercial coal sales by CIL which accounts for over 80 per cent of the output. Before the government gave its nod for commercial coal sale by captive producers, they were mandated to sell their excess output to CIL.